In the past I have used a bulky vacuum cleaner along with a dust buster, and I’ve been wanting something to replace both of these. Regular vacuums can be very heavy and inconvient to lug around; plus it gets annoying dealing with the cords and having to constantly plug and unplug. And dust busters aren’t exactly fun to deal with either, as you have to bend or kneel down to use them. But I’ve just discovered something that makes cleaning your floors a breeze! 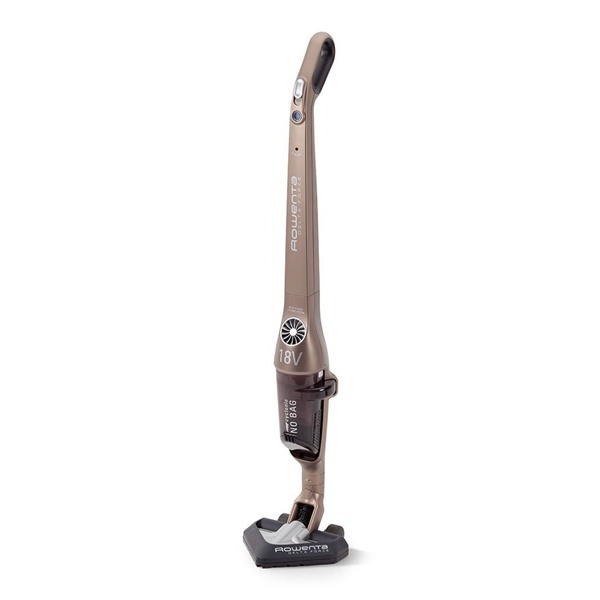 I’m talking about the Rowenta RH8559U1 Cordless Bagless 18-Volt Stick Vacuum Cleaner . I recently got the chance to review this product, and I love it!